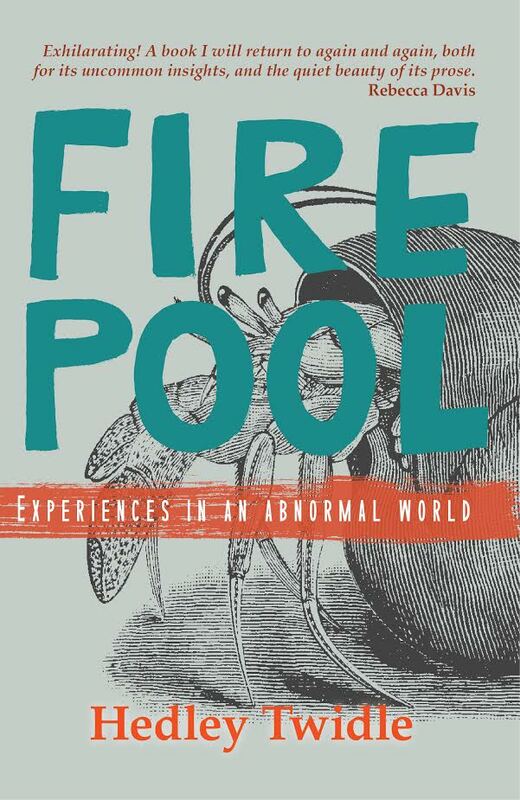 The latest issue of the Johannesburg Review of Books is out now and contains an excerpt from Hedley Twidle’s Firepool: Experiences in an Abnormal World, a chronicle of South Africa in the ‘second transition’ – one in which the foundations of the post-apartheid settlement are being shaken and questioned in all kinds of ways. From the complex legacy of artists like Moses Taiwa Molelekwa and JM Coetzee to the #FeesMustFall protests, from the N2 highway to the gnawing uncertainty of our nuclear future, Hedley Twidle treats serious subjects with a sense of playfulness, mischief and imagination. Three talented men, three great hopes for a post-apartheid South African culture, gone too soon. The first an academic and novelist, author of the strange and prophetic short work Welcome to Our Hillbrow (2001). The second a pianist and composer, whose major works are Finding One’s Self (1993) and Genes and Spirits (1998), with Wa Mpona (2002), Darkness Pass (2004) and several live albums released posthumously. The third, the author of two key novels of the South African transition – Thirteen Cents (2000) and The Quiet Violence of Dreams (2001) – who was working as a screenwriter at SABC1 when he took his own life. If Molelekwa carried the hopes of South African music in the 1990s, then for literature perhaps it was Duiker and Mpe. Yet each of these talented, troubled men would be dead before the end of South Africa’s first decade as a democracy, leaving a great sense of sorrow and emptiness. For me they are bracketed together: discovered together (late). What they share (Taiwa and Sello especially): earnestness, naivety. A voice that was vulnerable, that was still in the process of working itself out. The occasional false notes that come with the ambition of trying to get somewhere else, somewhere new. Also: an unwillingness to talk about the circumstances of their deaths. Can one listen to the 1990s through their work, at a time when the 1990s seems very far away, when a period that you lived through has now become historical? In an interview, pianist Moses Molelekwa named his three biggest influences as Abdullah Ibrahim, Herbie Hancock and Bheki Mseleku. Ibrahim for his hard-won simplicity; Herbie for the way he treats the keyboard as a site of restless experimentation; Mseleku for his merging of jazz techniques and southern African melodic lines. In finding out more about Bheki Mseleku – who suffered from diabetes and bipolar affective disorder, who spent two years on retreat in a Buddhist temple and many more in exile – I learned that he had once met Alice Coltrane in Newport. Here she gave him the mouthpiece that John Coltrane had used during the recording of A Love Supreme. When Mseleku returned to South Africa in 1994, this was taken during a burglary in Johannesburg – an event which, according to his 2008 obituary, ‘seriously destabilised him’. The mouthpiece Coltrane used in the recording of ‘Prayer’ and ‘Ascent’, a mouthpiece which he bit into, and which would have carried his teeth marks – this went missing in Johannesburg, perhaps dumped in a skip or a storm drain, perhaps finding its way to an unwitting musician. For weeks I carried around this footnote, stunned, not really knowing what to do with it. ‘Time signature’ is a musical term for the number of beats in a bar. I want to stretch it to consider the musical signature of a time – 1994 to 2004, the first ten years of South African democracy – that is by now a historical period. Now when an album like Molelekwa’s Genes and Spirits or a book like K Sello Duiker’s The Quiet Violence of Dreams, which once seemed so contemporary, have become period pieces. So what does it mean to listen to those years, in both Molelekwa’s playing and the verbal signature of Duiker’s prose?